EcoDuino is evolving. Now the EcoDuino has a new enclosure. It is protected from water splashes, so it is safe to use beside your plants. The EcoDuino now sports an Atmega32U4 which eliminates the requirement of an adapter. And sketches can simply uploaded via Micro USB just like Arduino Leonado. Another improvement is that the DS18B20 sensor is now directly supported. 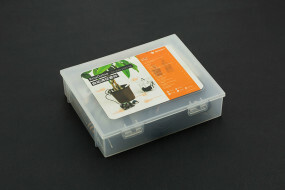 EcoDuino is designed by DFRobot to help you grow plants. 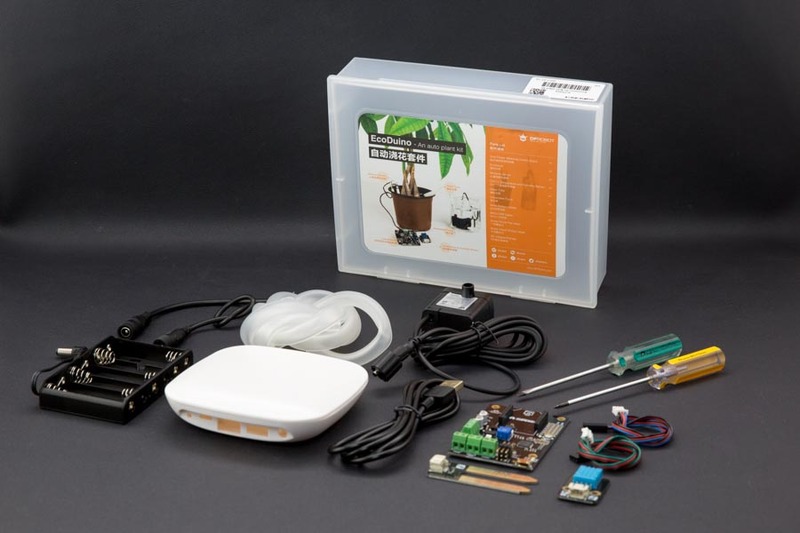 By using a series of microcontrollers, sensors and actuators, the EcoDuino system can make your efforts to grow plants much easier. Version Upgrade: Kit 2.0 has redesigned the PCB to fit the new enclosure. The other feature is same to the last version and the code is compatible.